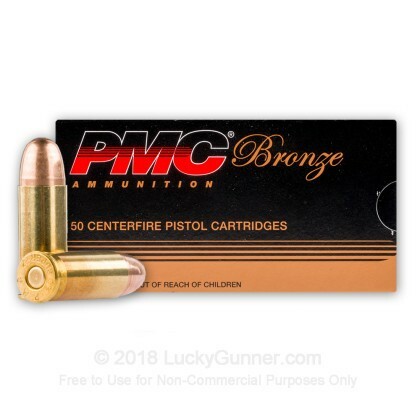 This +P 38 Super ammo is great for target practice, shooting competitions, or good ol' plinking! 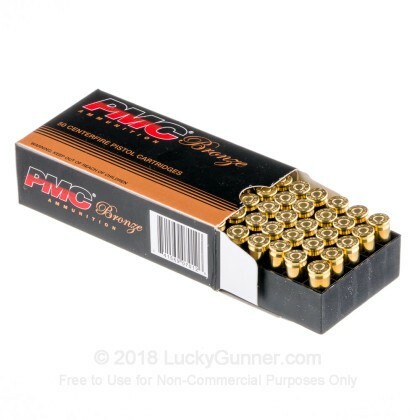 PMC ammunition has gained a good reputation among the American shooting community in recent years for their no frills focus on quality and reliability. This product-centric focus has been rewarded with an increasingly loyal following. This ammunition is brand new, non-corrosive, boxer-primed, and reloadable. Was always interested in the .38 Super, and I enjoy shooting a 1911 frame. Recently purchased one, and ammo isnt always easy to find. I'm not a reloader or a ballistics person, but I can say the ammo purchased ran without any hiccups. Weapon shoots nicely and is enjoyable and accurate with this ammo. Service was top notch and I've since re-ordered .38 Super and 10MM. Max is a wonderful person and rep for your company. He helped me identify a gun that I had found. Gave me the history and value range of the gun. Very pleasant, very helpful. Btw the answer to the original question is. They are just bullets. Tyvm I will always order from max at lucky gunner. This is top quality ammo for a caliber that is somewhat uncommon and quite expensive. 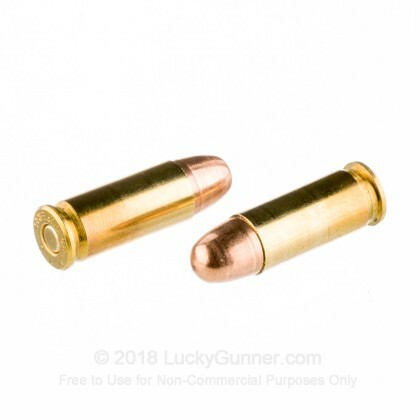 LuckyGunner's price is one of the lowest I have seen anywhere, though it is not cheap compared to, say, 9x19mm Parabellum. I fired a full box today through my Rock Island Armory 1911. No FTEs or FTFs. I fired some rounds off of a rest at 25 yards. I managed to get a 2-inch group with five rounds. Q: My father has a 38 Super Colt Government Model Series 70s, can this gun fire +P ammunition? 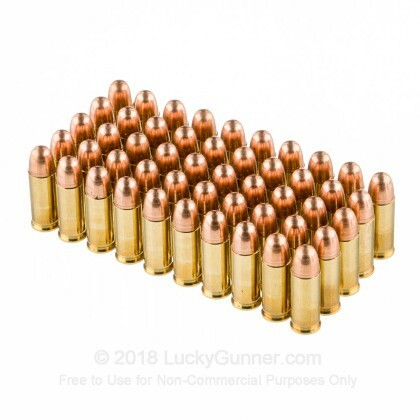 It is hard to find 38 Super ammunition, yet it is a popular caliber for match shooting. 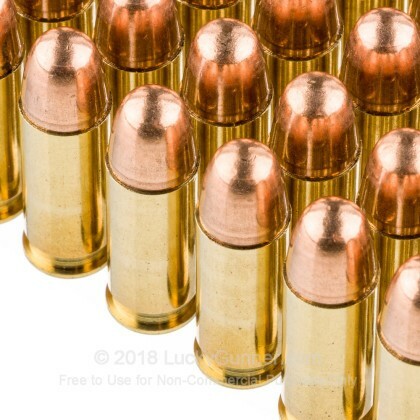 Do you sell any non-+P 38 Super besides Amscor which I have heard is very unreliable and has caused damage to many guns ( literally exploding). 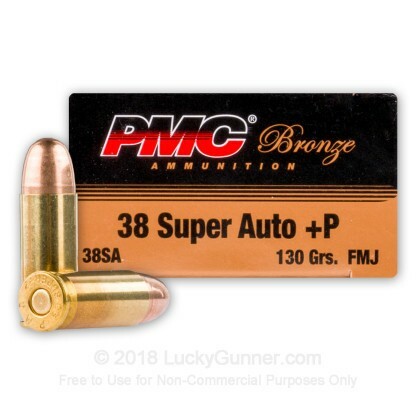 Does PMC make non +P 38 Super ammunition? A: Hello Bobby, Your best bet would be to check the owner's manual or contact Colt and verify if that gun can fire +P ammo. Once you find out, let us know and we can see what we have for you! Q: New to shooting and not familiar with .38 Super...can this be used in revolvers and repeating rifles that chamber .357 and /or .38special ? A: Hello Bob, .38 Super is a semi-auto caliber and is not interchangeable with .38 Special and cannot be fired in a revolver or any other firearm chambered in .38 Special or .357 Magnum. .